He was born in house No. 1 of the Şîfâ Yokuşu, Vezirtekke Sokağı, Servi Mahallesi, Eyyûb Sultân, in Istanbul, on the beautiful spring morning of the 8th of March, 1911 (1329 Hijrî). His father Sa'îd Effendi and grandfather Ibrâhîm Effendi were from the village of Tepova near Lofja (Lovec), in Bulgaria, and his mother Âişe Hanım and her father Hüseyn Ağa were from Lofja. During the War of "Ninety-three" against the Russians (1295 Hijrî, mîlâdî 1878), Sa'îd Effendi emigrated to Istanbul and settled at Vezirtekke, where he married. Because of the sufferings encouraged by war and emigration, he could not attend school, and he was employed as an official of weights control in the municipality, where he worked for more than forty years. He constantly attended the lectures of the famous scholars in the great mosques of Istanbul and gained a profound knowledge in the religion. 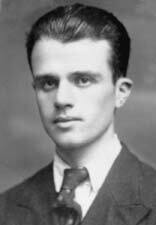 Due to his experience in his career, he became so skillful in solving four arithmetical operations from memory that he would provoke wonderment. 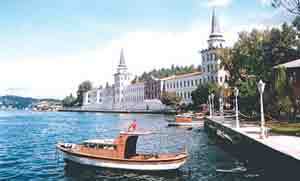 Hüseyn Hilmi Effendi went to the Mihr-i Shâh Sultan School , which was between the Eyyûb Mosque and the Bostan wharf, when he was five years old. Here he completed the Qur'ân al-kerîm in two years. At age seven, he began his primary education at the Reşâdiyye Nümûne Mektebi, which was adjacent to the tomb of Sultan Reşâd Hân. During the vacations, his father sent him to religious schools called Hâkim Kutbüddîn, Kalenderhâne and Ebüssü'ûd and laid much stress on his good upbringing. When Hüseyn Hilmi Effendi finished primary school with the highest honours in 1924, the goldgilt prizes he was awarded in every subject filled a large album. He was admitted to the Halıcıoğlu Military High School, which had moved from Konya to Istanbul that year, with an "excellent" grade in the entrance examination. He past to the second class of the secondary division as the best student in the same year. 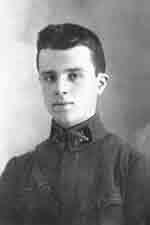 After maintaining his status as an honour student every year, he graduated from the Military High School as captain of the class and was selected for the Military Medical School in 1929. 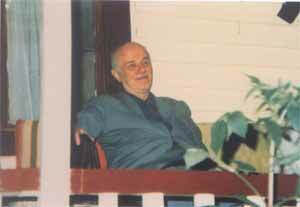 In High School, the geometry master used to have Hüseyn Hilmi Effendi review the lesson at the end of every session. His friends used to say that they understood things better from his review. It was in one of those sessions in the second class of High School that he once paused while explaining a theorem that stated, "In order for the projection of a right angle to be a right angle, it is necessary and sufficient for one of its sides to be parallel to a plane [on which the angle is projected]"; the master Captain Fuâd Bey tried to help him, but he said, "Sir, I cannot understand it. I see what you mean, but the two explanations explain each other." Fuâd Bey then asked for the opinion of the second best student in the class, who, pleased with his competitor's situation, said, "No sir, Hilmi Effendi is wrong. The textbook, too, writes the same as what you stated." When Hilmi Effendi insisted that he could not understand it, Fuâd Bey said, "Please be seated," and added, "Hilmi Effendi, we are human... Perhaps you have worked much today and feel weary. Or you have another problem. You will understand it some other time. Don't worry!" At night, while all the boarders were asleep, the watchman woke Hilmi Effendi up and said that the geometry master was waiting for him in the teachers' room. He got up and put his clothes on and walked confusedly to the room. Fuâd Bey said, "My son! I thought things over after I went home. I said to myself, 'Hilmi Effendi repeats every new lesson fluently and can solve the most difficult mathematical problems. There must be a reason that forced him to say that there was a contradiction with the problem.' I pondered over it much. I saw that you were quite right. Hadamar, the French author of the texbook, has written it wrongly, and Ahmed Nazmi Bey, the geometry teacher at Izmir High School , did not notice it, and I have taught it incorrectly for years. You are right, my son. I congratulate you. I am proud to have a student like you. I could not wait till morning to see that you shall sleep quietly and feel joyful." He kissed Hilmi Effendi on the forehead and left. 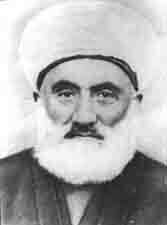 Hilmi Effendi fasted every Ramadân and performed every ritual salât throughout his education in the Military High School . Among the seniors, it was he alone who could continue to perform the ritual salât. Some teachers, who were deceived or perhaps hired by the enemies of Islam, had been striving to imbue his classmates with irreligiousness and hostility towards Islam through lies, slanders and false interpretations of science. The geology teacher, Âdem Nezîhî, the physics teacher, Sabri, the philiosophy teacher, Cemil Senâ, and the history teacher, Major Gâlib of Baghdâd, went to extremes in their mischievous teachings. But he did not believe these teachers. He studied their subjects much more and received perfect scores in their examinations, winning their appreciation. When he was a senior at the Military High School , his father Sa'îd Effendi passed away. The officers, teachers and students of the school attended the funeral. 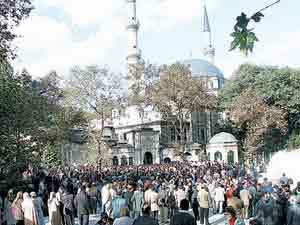 The people of Eyyûb were bewildered by the large crowd of those who attended the funeral. 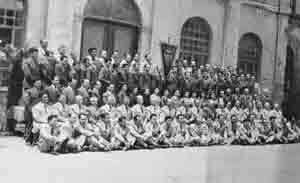 Hilmi Effendi was uneasy when he studied at the Faculty of Science in the delicately ornamented Zeyneb Vâlide Sultan Hall at Bâyezîd Square ; whenever he attended Friday prayer performed in the Bâyezîd Mosque, there would be only one row of Muslims behind the imâm, and they all were old. He was worried that a few years later there would be no Muslims and was trying to find the cause of this decline. In no way could he make it out. He was filled with despair, but had no friends in the school with whom he could have a sincere talk or receive help from. One day he left the campus and entered the Bâyezîd Mosque for the early afternoon salât. After performing the salât, he saw somebody preaching on the left side of the mosque. He sat down. The preacher was explaining the six fundamentals of îmân from a thin, small-sized book in his hand. Hilmi Effendi knew all of what was explained, but he did not leave his place for fear that the preacher's heart would be broken with the thought that his preaching did not please him. As a matter of fact, there were only a few old men who were listening. He cut his preaching short and, showing the little books in his hand, said, "Everybody needs these books. I sell them." His appearance suggested that he was very poor. Nobody bought one. Hilmi Effendi pitied the preacher and, thinking that he would give it to a youth, asked its price. But, when the preacher said it was twenty-five kurushes, he gave up the idea, because neither did he have that much money nor was the book worth that much. The currency of those days was very valuable; an imâm and a lieutenant received only 17 and 61 liras respectively. The price of the book should have been five kurushes at most, and he found it unbecoming for the preacher to ask for such a high price. "It should be given free for Allah's sake. Well, if he lives on it, he should ask for five kurushes at most," he thought in disapproval. He walked to the other side of the mosque. The inside and outside of the balustrade on this side were very crowded. An old man seated inside was talking. With difficulty he made his way in and sat down behind him. The old man was reading a book and explaining how Muslims should visit the shrines of Awliyâ', a matter which Hilmi Effendi did not know but was very anxious to learn. While listening, however, he could not help thinking of the other preacher and said to himself, "One who loves Allah should give religious books freely," repeatedly. Meanwhile, the late afternoon salât was begun in the mosque, and the old preacher closed the book he was reading and gave it to Hilmi Effendi while saying, "This is my present to a young effendi for Allah's sake," and began his salât. Though this preacher had not seen Hilmi Effendi, he knew he was sitting behind him. Hilmi Effendi took the book and joined in the salât. After the salât, he looked at the title "Râbita-i sherîfa" and underneath it the author's name "Abdulhakîm" on the cover of the book and learned from someone in the Mosque that the person who gave him the book was 'Abdulhakîm Effendi and that he preached at the Eyyûb mosque on Fridays. He returned to the building called "Bekir Ağa Bölüğü" near the Bâyezîd Tower where he stayed. On Friday, the weekend holiday in those days, he went to the big mosque. He looked for the preacher but could not see him. Then he learned that he was an imâm at another mosque and would come after salât. He could not stay inside and went out. He saw the preacher standing beside a bookseller's stand. He approached him from behind looking steadily at him with love. He heard the bookseller say, "Sir, don't stand, sit on this chair," which was covered with snow. When he was about to sit, Hilmi Effendi jumped up close and said, "Please, just a moment," and cleaned the snow off with his handkerchief. He took off his overcoat, folded it and put it on the chair and said, "Please be seated now." He looked at him. His blessed, awe-inspiring face, black eyebrows and eyes and round beard was very beautiful and lovely. 'Abdulhakîm Effendi said, "Take your overcoat!" and sat on the bare wood of the chair. Hilmi Effendi felt sorry but was pleased when he was told, "Put it on my back." When some people came out of the mosque, he went in and sat on his high cushion on the floor of the right side of the mosque and began his lesson by explaining from a book on the low desk (rahla) in front of him. Hilmi Effendi sat in the first row facing him and was listening carefully. He listened with delight; the religious and worldly information, all of which he had never heard, was very interesting. He was like a poor person who had found a treasure, or a thirsty person who had discovered cool water. He could not move his eyes away from Sayyid 'Abdulhakîm Effendi. He was absorbed in watching his lovely, shining face and listening to the invaluable brilliant words he uttered. He had become beside himself and had forgotten about his school, his worldly affairs, and everything. Something sweet moved about his heart; it was as if he was being cleaned, washed with something sweet. It was during the very first suhba that the first few words had been enough to entrance him as if forming in him the very blessing called fanâ', the attainment of which takes many years of sufferings. Unfortunately, the suhba ended in an hour. For Hilmi Effendi, this one hour had passed like a moment. As if awakening from a sweet dream, he put his notebook into his pocket and stood in the line going out. While he was tying his shoe-laces, somebody bent over and whispered to him, "Young Effendi, I love you very much. Our house is in the cemetery. Come visit us. We will talk." Sayyid 'Abdulhakîm Effendi was the one who spoke these sweet, inspiring words. The same night Hilmi Effendi dreamt of a clear, bright, blue sky, balustraded like the dome of a mosque. Someone with a shining face was walking in it. When he looked up, he saw that it was Sayyid 'Abdulhakîm Effendi, and awoke in delight. A few days later he dreamt of somebody whose face glittered like the moon, who was sitting at the head of the sarcophagus at Hadrat Khâlid Ayyûb al-Ansârî's shrine and for whom people were standing in a line to kiss his hand. Hilmi Effendi joined the line and woke up just as he was kissing his hand. In those days Hilmi Effendi lived in Fâtih and went to Sayyid 'Abdulhakîm Effendi's house every Friday. Sometimes he would go before the morning salât and leave unwillingly after the night salât. He would forget everything as if seeing everything afresh. He would always stay close to 'Abdulhakîm Effendi, even while eating, praying, resting and visiting. He always watched his manners carefully and listened to him. He tried hard not to waste even a minute. He went to him during every holiday, and whenever he had free time. He never missed his sermons in mosques. Firstly Turkish books and some months laters Arabic sarf and nahw were taught. Amsila, Awâmil, Simâ'î masdars, Qasîda-i Amâlî, Mawlânâ Khâlid's Dîvân and the logic book Isaguji were memorized. A couplet, a line or an Arabic or Persian sentence would be written and explained at every meeting. All of what was written was memorized. The first work Sayyid 'Abdulhakîm Effendi assigned to Hüseyn Hilmi Effendi was the translation from Arabic into Turkish of a small passage from al-Imâm al-Baghawî on qadâ' and qadar. He did the translation at home during the night and took it to his master the following day. His master said, "Very good! You've translated it correctly. I like it." 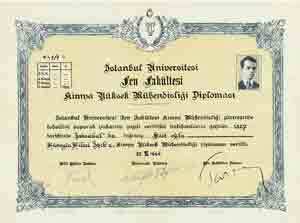 Hüseyn Hilmi Effendi passed to the second class of Medical School as the best student. While sitting in a garden during a visit with his master at Eyyûb, the time happened to coincide with his completion of a course in osteology and he was about to work on a cadavar. His master asked him what he was studying at the university. Upon his answer, Sayyid 'Abdulhakîm Effendi said, "You will not become a physician. You had better transfer to the School of Pharmacy." Hilmi Effendi said, "I have the highest scores in the class. They won't let me go to the School of Pharmacy." "You submit your petition. Inshâ-Allah, Allâhu ta'âlâ will grant it," said his master. After many petitions, Hilmi Effendi entered the School of Pharmacy as a sophomore towards the end of the first semester. Although the curriculum was half over and he had to take some more examinations on the courses given in the first year, he passed all of the examinations at the end of the second semester. He graduated from the School of Pharmacy and completed one year of probation at the Gülhâne Hospital with the highest honours. 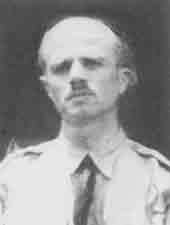 He was first appointed as a Lieutenant Asistant-master at the Military Medical School . He had subscribed to the paper Le Matin, which was published in Paris, by the order of 'Abdulhakîm Effendi and increased his knowledge in French while he was a student at the School of Pharmacy. He began studying at the School of Chemical Engineering, again by the order of 'Abdulhakîm Effendi when he was an Assistant-master. 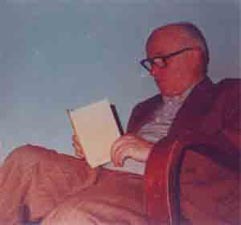 He learned calculus from Von Mises, mechanics from Professor Prage, physics from Dember and technical chemistry from Goss. He worked with Arndt, a Professor of Chemistry, and evoked his appreciation. In the last six months of the research he carried out under his supervision, he synthesized and determined a formula for ester "phenylcyannitro-methan-methyl." This successful research, which was the first in its field in the world, was published in The Journal of The Istanbul Faculty of Science and in the German chemical journal Zentral Blatt (number 2519, in 1937) under the name of Hüseyn Hilmi Işık. When he received a Diploma of Master of Science in Chemical Engineering (numbered 1/1) in 1936, Hüseyn Hilmi Işık appeared in the daily papers as the first and unique Chemical Engineer in Turkey . Because of this success of his, he was appointed as a Chemist Officer at the Department of Toxic Gases in Mamak, Ankara . He served there for eleven years, many of which he worked with Merzbacher, General Director of the Auer Factories; Goldstein, Doctor of chemistry; and Neumann, Doctor of Optics. He also learned German from them. He became an expert in toxic-gases. He rendered service. For example, England sold one hundred thousand gasmasks to Poland during the Second World War. While the masks were on their way along the Dardanelles, Germans invaded Poland, and the Britains wanted to sell the masks to Turkey . Captain Hüseyn Hilmi Işık examined the masks and, after realizing that their filters leaked toxic gas, reported them to be "disusable, good for nothing." The Minister of National Defense and the British Ambassador became quite alarmed and did not believe the report. "How could it be possible for a British product to be defective?" it was said. He proved his words. At last he had to give the order that they could be broken into pieces and used a spare parts; thereby, the British were able to get their money. "Dear Hilmi! - I thank Allâhu ta'âlâ for the health you enjoy as you write. It pleases me very much to learn that you are teaching [your brother] Sedâd the 'awâmil. I see it is not without reason that you are ordained to stay away from the city. Both of you will get much benefit... I send my sallâms and pray for you, your mother and sisters. Write me frequently. Tell me about your state in detail! Write me about your situtation immediately after the inspection!" "My very much beloved Hilmi and Sedâd! - I have received your lovely letter. It causes me to express thanksgiving and praise to [Allâhu ta'âlâ]... He has translated the 'awâmil beautifully. Then, he has understood it. Hilmi will benefit from it. Sedâd will benefit from it. The 'awâmil has a sharh and a mu'rab. I will send them by someone. In fact, they will suffice in respect to nahw. Then, in addition to being a chemical engineer, you will also become an engineer in sarf and nahw. Other engineers will fall in value as their numbers increase. This branch of engineering, however, in addition to being valuable in itself, will become much more valuable because the experts in this branch have become rare or have disappeared. The reason why you are there then, seems to be to enable you to attain great prosperity (dawlat-i 'azîma). We send salâms and prayers." "Hilmi! - I felt much pleasure and happiness upon reading your latest letter. I want you to believe in what you wrote. I benefit much from the laxatives. If it is easy, prepare some more and send them to me!" "Alaikum salâm! - It is not sunnat to greet (salâm) someone while one is reciting the Qur'ân. When greeted, however, it is wâjib to reply: the reciter pauses and then gives the salâm, afterwards he continues to recite, since the recitation [of the Qur'ân] is a sunnat while responding to the salâm is a wâjib. A wâjib cannot be abandoned or delayed for the advantage of a sunnat, but a sunnat should be abandoned or delayed for a wâjib. As for your second question, read it is you saw and understood it before! In fact, 'esteem' (hurmat) is meant by 'haqq' (right) in this context. 'Bi-haqq-i Muhammad', may Allah bless and save him, means 'bi-hurmat-i Muhammad.' The author of Mawqûfât assumed that 'haqq' was a 'haqq-i shar'î' (a legal right) or a 'haqq-i 'aqlî' (a logical right). If this had been the case, he would have been right. This prayer has been read this way from days of old. It is true that nothing is in any way, neither legally nor logically, obligatory upon Allâhu ta'âlâ. By 'haqq' this is not meant. Perhaps the interpreter understood it wrongly. My dear! Like you, everybody is troubled with the same trouble, sorrowful with the same sorrow. If it were not so, people would have been distressed in another way. This has been the 'Âdat-Allâh (the Law of Allâh). An Arabic couple says, 'Kullu man talqahu yaskhu dahrahu./Yâ layta sha'rî hâdhihi 'd-dunyâ liman?" (Whomever you encounter complains about his state, his time,/Oh, if I ever knew whose world this was.) So you're still better! [Your sorrow is meritorious, and it is a sign of being a good human being.]" "Hilmi! - I am grateful for your letter. I thanked Allâhu ta'âlâ for your good health. You must know that it is a great blessing and endowment to read and understand even part of the book Maktûbât [by al-Imâm ar-Rabbânî Ahmad al-Fârûqî as-Sirhindî], the like of which on the religion of Islam has never been written and which will help you the most in your dîn (religion) and dunyâ (world)." The handwritten copies of these letters which were sent from Istanbul to Mamak village are kept in the file named [Memorial Letters]. In Mamak, Hüseyn Hilmi Effendi read several times and strove to understand the Turkish translations of al-Imâm ar-Rabbânî's and his son Muhammad Ma'thûm's Maktûbâts, each of which was of three volumes, and he prepared a summary index of the six volumes in alphabetical order. When he came to Istanbul , he read the entire 3846 entries of its summary to Sayyid 'Abdulhakîm Effendi, who listened to it for several hours and liked it very much. When 'Abdulhakîm Effendi said, "This makes up a book. 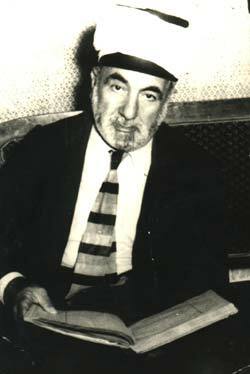 Give it the title 'Invaluable Writings'," Hüseyn Hilmi Effendi was surprised, but he further added, "Didn't you get it? Can their value ever be estimated?" The entries which were derived from the first volume were later appended to the end of the Turkish Maktûbât Tercemesi as an alphabetical index. In 1359 (1940), Hilmi Işık asked his master 'Abdulhakîm Effendi, "Sir, I intend to marry. What will you say?" "Whom will you marry?" his master asked. "The one whom you permit." "Then Ziyâ Bey's daughter is suitable for you." When Hilmi Effendi wanted his curiosity addressed before he returned to Ankara , 'Abdulhakîm Effendi summoned Ziyâ Bey the following day, and, after a long talk, his promise was obtained. A week later, Hilmi Effendi came to Istanbul again, and the engagement ring was placed on his finger by the blessed hands of 'Abdulhakîm Effendi, who also carried out the Islamic nikâh according to the Hanafî and Shâfî'î madhhabs after registering at the municipality. The wedding was held two months later. 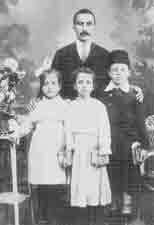 At the feast, 'Abdulhakîm Effendi sat beside Hilmi Effendi and, after the night prayer, said a prayer in person. When the couple visited him a week later, 'Abdulhakîm Effendi conveyed tawajjuh to the bride and said, "You are both my daughter and daughter-in-law." When Hilmi Effendi was at home at Hamamönü, in Ankara , during the autumn of 1362 (1943 A.D.), Fârûk Bey's son Barrister Nevzâd Işık came to him and said, "Sir, 'Abdulhakîm Effendi awaits you at our house." "Are you joking? He is in Istanbul ! Why do you say he awaits me?" Hilmi Effendi asked. 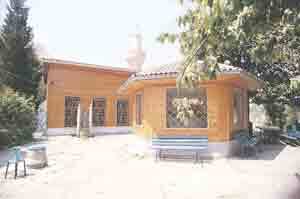 Nevzâd Bey swore and together they went to Fârûk Bey's house at Hacı Bayram. He learned there that the police had taken 'Abdulhakîm Effendi from his house in Eyyûb, Istanbul, to Izmir and later to Ankara . 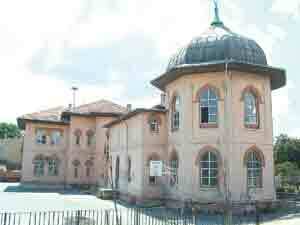 After many petitions, he was permitted to stay at his nephew Fârûk Bey's house under police supervision. He had become weak and exhausted out of anxiety and travel. He told Hilmi Effendi, "Come to me every day!" Every evening Hilmi Effendi helped him arm-in-arm to his bedroom, put blankets on him and left after reciting and blowing Sûras al-Falaq and an-Nâs upon him. The visitors who came during the day would sit on the chairs lined across the room and soon leave. He always let Hilmi Effendi sit at the bedside and conversed with him silently. When he was interred in Bağlum, a village near Ankara, Hilmi Effendi went in the grave and carried out certain religious duties upon the command of Ahmed Mekkî Effendi, 'Abdulhakîm Effendi's son. Mekkî Effendi also said, "Father loved Hilmi very much. He knows his voice. Hilmi shall read the talqîn!" This honourable service, too, fell to the lot of Hilmi Effendi. A few years later Hilmi Effendi placed a marble tablet, which he had written in Istanbul , at the head of the grave. He also put a marble tablet on the grave of Hadrat Sayyid Fahîm in Van and repaired the shrines of Abdulfettâh, Muhammad Amîn Tokâdî and Çerkes Hasan Bey in Istanbul . He lead the funeral prayer of Behîce Me'ân Sultan, the late wife of 'Abdulhamîd Hân II, as she had willed, in 1389 (1969 A.D.), and he had a shrine constructed over her grave in the Yahyâ Effendi cemetery. In the autumn of 1391 (1971 A.D.), he visited Delhi, Diobend, Sirhind and Karachi and, seeing that the graves of Hadrat Sanâ'Allâh and Mazhar-i Jân-i Jânân's wife in the town of Paniput being trodden under foot, donated five hundred dollars for their repair and protection. 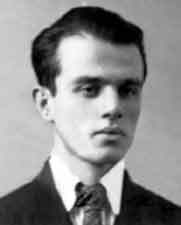 Hüseyn Hilmi Effendi was appointed as a chemistry teacher at the Bursa Military High School in 1947, where he later became its Principal. 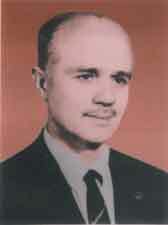 Afterwards, he became a chemistry teacher at the Kuleli ( Istanbul ) and Erzincan Military High Schools for many years. After teaching hundreds of officers, he retired following the coup d'etat of 1960. 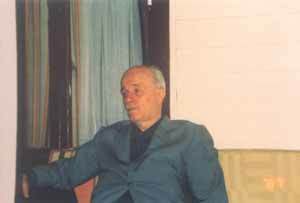 Later he taught mathematics and chemistry at Vefa, Imâm-Khatîb, Cağaloğlu, Bakırköy and at many other high schools in Istanbul . He trained many faithful youths. 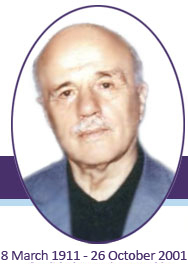 Without discontinuing teaching, he bought the Merkez Pharmacy in Yeşilköy, a suburb of Istanbul , in 1962 and served the health of the people as proprietor and manager of the dispensary for many years. 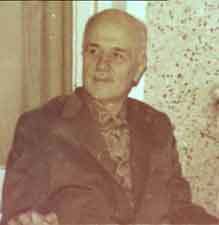 While he taught chemistry at the Kuleli Military High School in Istanbul, he learned ma'qûl, manqûl, usûl and furû' as it relates to fiqh, tafsîr and hadîth from the virtuous Ahmad Mekkî Effendi, the late Muftî of Üsküdar (Scutari) and later of Kadıköy in Istanbul. 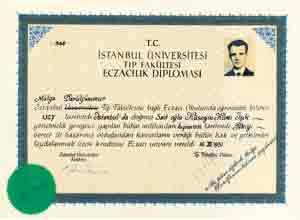 Hüseyn Hilmi Effendi was graduated with the Ijâzat-ı Mutlaqa (Certificate of Absolute Authority) for religious instruction in 1373 (1953). 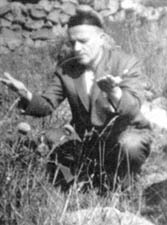 He published Se'âdet-i Ebediyye	(Endless Bliss) in 1956. 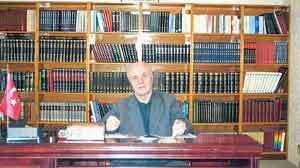 He founded Işık Kitabevi in Istanbul in 1967, and established the Waqf Ikhlâs in 1396 (1976 A.D.) He disseminated throughout the world his Turkish, German, French, English and offset-reproduced Arabic books and received thousands of letters expressing appreciation, congratulations and thanks. 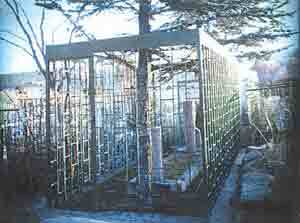 Some of his works were translated into Japanese, Asian and African languages. He always said that he had neither the ability nor efficiency, and that all the services done were the results of the spiritual help and grace of Hadrat Sayyid 'Abdulhakîm Effendi and the blessings ensuing from his excessive love and respect for the scholars of Islam. Firâq-i ham-nashînân sokht, maghz-i istakhân-i man!" "Why are you surprised at seeing harm coming from one who was created to be harmful! How can you expect goodness from him? I am surprised at your being surprised! He is a sharr-i mahd (unmixed evil). His vice should not be surprising. If you see him do any good deeds, then you should feel surprised! Say to yourself, how can he do something good?" "The scholars of Islam were perfect human beings. We are mere nothing beside them. If we had lived among them, we would not have been counted as human beings. If we were lost, nobody would look for us!" "If the tekkes had not been closed, many a Walî would have been trained here." "I could not find the possibility or opportunity to carry out my duty to instruct Muslims." "If I spoke a foreign [Western] language, I could serve [Islam] much more!" "The greatest enemy of Islam is the British. They tried to annihilate Islam with all their armies, fleets, uncountable gold coins collected from their colonies, in short, with all their imperial powers. Nevertheless, the harm of all these giant forces of the British to Islam remains secondary; a more frightening enemy of Islam is Şemseddin Günaltay." "A sensitive and delicate person cannot eat the food which he himself puts into a new child's brimming chamberpot. He feels disgust when he remembers the discharged matter that is put in it. Using the things that cause disbelief has the same effect. A person whose îmân is firm and who is faithful to Islam does not use them however much they are praised by others." "Not everybody can understand al-Imâm ar-Rabbânî's Maktûbât, which resembles neither Hâfiz-i Shirâzî's poems nor the Khamsa. We read it not to understand it but to be blessed by reading it." "Performing salât means to turn towards (tawajjuh) Allâhu ta'âlâ. Realities are revealed to those who perform salât in accordance with the honourable Sharî'at in this world. Al-'ilm al-ladunnî is endowed upon them. This 'ilm (branch of knowledge) is learned at seventy-two varying degrees; the one who is at the lowest degree knows how many leaves there are on a tree at a glance and can differentiate a shaqî (evil) person from a sa'îd (pious) one. Such people perform salât in their graves, too. This kind of salât does not consist of qiyâm (standing) or rukû (bowing); it means to turn towards Allâhu ta'âlâ." 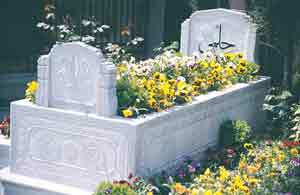 Hüseyn Hilmi Işık, 'Rahmat-allahi alaih' passed away during the night between October 25, 2001 (8 Shaban 1422) and October 26, 2001 (9 Shaban 1422). 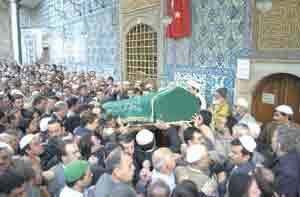 He was buried at Eyyub Sultan, where he was born. 1- Believer who is Sâlih (pious, good). He says that he is a Muslim. He holds the belief of Ahl as-sunna. A person who holds the belief of Ahl as-sunna is called Sunnî (Sunnite). He adapts himself to one of the four Madh-habs of the Ahl as-sunna. Thus in everything he does he is in a state of obedience to the Sharî'at. He performs his acts of worship in accordance with his Madh-hab. He avoids harâms (acts forbidden by Islam). If he makes an inadvertent mistake in this respect, he makes tawba by observing its conditions. Before sending his children to elementary school, he sends them to a Sâlih imâm or to a teacher of Qur'ân al-kerîm. He strives for their learning how to read Qur'ân al-kerîm, memorizing the sûras of Qur'ân to be recited in the namâz, and learning Ilmihâl. He sends them to elementary school after they have learned these things. He sends his sons to high school, to a university for education. It is a must that they learn religious knowledge and begin performing daily prayers of namâz regularly before elementary schooling. A father who does not bring up his children accordingly cannot be a Sâlih Muslim. He and his children will go to Hell. The worships he has done, e.g. pilgrimages, will not save him from going to Hell. The Muslim who is Sâlih will never enter Hell. 2- A Believer who is Aberrant. He says he is a Muslim, and he is a Muslim, too. Yet he is not Sunnî. He is without a Madh-hab. In other words, his belief does not agree with the belief taught by scholars of Ahl-sunna. Therefore none of his worships will be accepted. He will not escape Hell. If he does not perform the worships and commits harâms, he will remain in Hell additionally for these sins. Because his aberrant belief does not cause unbelief, he will not remain eternally in Hell. An example of such people is the Shiite group called Imâmiyya. 3- The Sinful Believer says he is a Muslim, and he is so. He is Sunnî, too. That is, he holds the belief of Ahl as-sunna. Yet he neglects some or all of the worships. He commits harâms. The sinful Believer will suffer Hell fire if he does not make tawba or attain Shafâ'at (intercession of the Prophet, one of the Awliyâ, or a Sâlih Muslim) or forgiveness of Allâhu ta'âlâ. Yet even in this case he will not remain in Hell eternally. 4- A disbeliever from birth is a person with parents who are (or were) disbelievers. He has been brought up as a disbeliever. He does not believe in the fact that Muhammad 'alaihi-salâm' is the Prophet. Jews and Christians are disbelievers with (heavenly) books. Communists and freemasons are disbelievers without a book. They do not believe in rising after death, either. People who worship idols and icons are called Mushrik (polytheist). Disbelievers will go to Hell and will be subjected to eternal fire. None of the goodnesses they have done in the world will be of any use, nor will they save them form Hell. If a disbeliever becomes a Muslim before death, he will be pardoned and will become a Sâlih Muslim. 5- A Murtad (renegade) is a person who abandons Islam and becomes a disbeliever. All the worships and pious acts he did as a Muslim will be deleted and, therefore, will be of no value after death. If he becomes a Muslim again, he will be pardoned and will become an extremely pure Believer. 6- A Munâfiq says that he is a Muslim. Yet he is not a Muslim. He is in another religion. He is a disbeliever. He pretends to be a Muslim in order to deceive Muslims. A munâfiq is worse than an (undisguised) disbeliever. He is more harmful to Muslims. Formerly, the number of munâfiqs was rather great. There are next to none today. 7- A Zindîq also says that he is a Muslim. Yet he is not a member of any religion. He does not believe in rising after death. He is an insidious disbeliever. In order to mislead Muslims out of Islam and to demolish their religion from within, he presents his disbelief in the name of Islam. Qâdiyânîs, Bahâîs and Bektâshîs are in this group. 8- A Mulhid also claims to be a Muslim and thinks he is a Muslim. He performs Islam's worships and avoids the harâms. Yet he has greatly digressed from the belief held by the Sunnites in his interpretation of Qur'ân al-kerîm, to the extent that some beliefs he holds abrogates his îmân and causes disbelief. In this group are Nusayrîs and Ismâîlîs, two Shiite sects, and Wahhabis. They try to present themselves as Believers and the Sunnîs, who are actually people with correct belief, as disbelievers. Since a person who calls a Believer a disbeliever will become a disbeliever himself, these people are worse and more harmful to Muslims than disbelievers are. 1- He should believe as is taught by scholars of Ahl as-sunna. In other words, he must be a Sunnî. 2- Reading a book of fiqh belonging to one of the four Madh-habs, he should learn the teachings of the Sharî'at correctly, perform his acts of worship accordingly, and keep away from the harâms. A person who does not adapt himself to one of the four Madhhabs or selects the facilities in the four Madh-habs and thus makes a mixture of the Madh-habs, is called a 'Madh-hab'less person. A Madh-habless person has abandoned the way of the Ahl as-sunna. And a person who is not a Sunnî must be either a heretic or a disbeliever. 3- He should work to make a living. He should earn his living through halâl means, carrying on his dealings in a manner compatible with the commandments of Allâhu ta'âlâ. We live in such an age that a poor person can hardly protect his faith and chastity, not even his personal rights. To protect these values and serve Islam, he should utilize the latest scientific renovations and facilities. Earning through halâl ways is a great act of worship. Any way of earning that will not hinder the daily prayers of namâz and which will not cause one to commit harâms is good and blessed. For worships and worldly dealings; being useful and blessed is dependent upon doing them only for Allah's sake, earning only for Allah's sake, and giving only for Allah's sake; and in short having Ikhlâs. Ikhlâs means to love Allâhu ta'âlâ only and to love for the sake of Allâhu ta'âlâ only. When one loves someone, one remembers him very frequently. One's heart always makes (Dhikr) of him, that is remembers and mentions him. If a person loves Allâhu ta'âlâ, he will remember him very frequently, that is, his heart will always make Dhikr of Him. For this reason, it is stated in the Qur'ân al-kerîm, "Make much Dhikr of Allâhu ta'âlâ." The following hadîth-i sherîfs are written in the book Kunûz-ud-daqâq: "People with high grades are those who make Dhikr of Allâhu ta'âlâ." "The sign of love for Allah is love of making Dhikr of Him." "He who loves someone will make much dhikr of him." "He who loves Allah very much will be free from mischief." "Allâhu ta'âlâ loves the person who makes much Dhikr of Him." Scholars of Tasawwuf have shown the ways to perform much Dhikr of Allâhu ta'âlâ. The easiest of these ways is to find a Murshid-i kâmil, love him, observe the rules of adab about him, and thus receive fayz from his heart. Murshid-i kâmil is an 'Islamic Scholar' who has received fayz from the Murshid-i-kâmil preceding him and thus attained the competence of giving fayz. When he attains this competence, he receives a written warrant from his Murshid certifying that he has the qualifications. A succession of Murshids receiving fayz from one another is like the links of a chain that can be traced back to the time of Rasûlullah (sall-Allâhu 'alaihi wasallam). In other words, a Murshid-i-kâmil receives the 'fayz's, 'hâl's and 'barakats' coming from Rasûlullah through a chain of Murshids that flow into his heart; he then pours them into others' hearts. The Murshid and the Murîd who wishes to receive fayz from him have to be Sâlih Muslims. A person who does not hold the Sunnî belief; e.g., who speaks ill of any one of the As-hâb-i-kirâm or who does not adapt himself to one of the four Madh-habs; or anyone who does not avoid the harâms, e.g., who condones his wife's or daughter's going out without covering themselves properly though he can prevent them from doing so; or who does not try to teach his children Islam and how to read the Qur'ân al-kerîm cannot be a Sâlih Muslim, and all the more impossible, a Murshid. Everything a Murshid says or does will be compatible with the principles of the Ahl as-sunna and the teachings in the books of Ilmihâl. One thousand years after Rasûlullah's Hijra (Hegira, Migration to Medina ) an era termed Âkhirzamân (the latest time) began, and the signs prognosticating the end of the world began to increase in number. During this latest time period, Allâhu ta'âlâ will manifest His Attributes of Qahr (Wrath) and Jelâl (Vehemence), and mischief and afflictions will be on the increase. Religious teachings will be defiled, scholars of the Ahl as-sunna and Murshid-i-kâmils will be on the decrease. Oral dhikr, i.e. saying, "Allah, Allah," is very thawâb (deserving of rewards in the Hereafter) and will prime the pump for the heart's dhikr. However, the heart's dhikr requires one's being a Sâlih Muslim and performing dhikr for years. If a Murshid-i-kâmil teaches a person how to dhikr and extends tawajjuh towards him, i.e., asks his Murshid to help this person's heart to dhikr, his heart will begin dhikr immediately. If a person cannot find a Murshid-i-kâmil, he should remember any Murshid-i-kâmil (he has heard of or read about). That is, he should imagine seeing him and looking with adab at his face, and beg him through his heart to make tawajjuh towards him. This is called Râbita. The following account is given in the seventeenth page of the book Barakât: "Khwâja Burhân-ud-dîn, a respectable Indian scholar, endeavoured very hard to set his heart upon the act of dhikring. Try as he would, he could not attain this blessing. He looked for a Murshid-i-kâmil. While visiting Hadrat Muhammad Bâkî-Billâh in Delhi , he begged him. This great Murshid advised him to perform Râbita towards him wherever he was, that is, to imagine himself looking at his face and ask for fayz. Surprised at his advice, the Khwâja went to the great Murshid's close friends and said, 'This advice would be given to novices coming to him for the first time. I would like a task of a higher level.' They told him he would have no other choice than follow his advice. Because he was fully convicted that this noble person was a Murshid-i-kâmil, he imagined himself looking at his blessed face and began to beg him. He lost himself. His heart began to dhikr. He would hear his heart dhikring aside from its physiological beatings." The book Hadarât-ul-quds, in its discourse on karâmats (miracles occurring through a person loved by Allâhu ta'âlâ) through Hadrat Imâm-i Rabbânî, relates his fifty-fourth karâmat as follows: "Hadrat Mawlânâ Abd-ul-hakîm Siyalkutî, a great Indian scholar whose books and name are renowned world over, states: I had known and liked Hadrat Imâm-i Rabbânî for a long time. Yet I had not attached myself to him. One night, in my dream, he made tawajjuh towards me. My heart began to make dhikr. Continuing this dhikr for a long time, I attained many valuable occult blessings. He educated me from a distance in a manner termed Uwaysî. Later, I attained his Sohba." It relates the sixty-eighth karâmat as follows: "One of the relatives of Hadrat Imâm-i Rabbânî wanted to attach himself to him. Yet he could not tell him about it. One night he decided to tell him the following morning. That night he dreamt of himself standing near a stream. On the other side was Hadrat Imâm-i Rabbânî, calling him, 'Come here, quick, come here, quick! You're late.' When he heard this his heart began to dhikr. The nex morning he visited him and told him what was happening in his heart, he said: 'This is exactly our way. Go on with it.' "
Allâhu ta'âlâ declares in the Qur'ân al-kerîm, in the thirty-first âyat of Âl-i-'Imrân sûra, "Tell them: If you love Allâhu ta'âlâ adapt yourselves to me! Allâhu ta'âlâ will love those who adapt themselves to me and will forgive your sins [if you do so]. Allâhu ta'âlâ is forgiving and very compassionate." He declares in the seventy-ninth âyat of Nisâ sûra: "He who obeys the Prophet will have obeyed Allah." Our Prophet (sall-Allâhu alaihi wa sallam) stated, "Be on my way and after me on the way of my four Khalîfas!" Islamic scholars following the way of the four Khalîfas are called Ahl as-sunna. As it is seen, attaining love of Allâhu ta'âlâ requires having îmân as written in the books of scholars of the Ahl as-sunna and adapting all of one's words and actions to the manners prescribed by them. This comes to mean that a person who wants to attain love of Allâhu ta'âlâ will have to have îmân accordingly and lead a life accordingly. If a person does not observe these two conditions, he cannot be a Sâlih Muslim. He cannot attain comfort and peace in the world, nor in the Hereafter. These two values are either learned by reading books, or acquired by rote by imitating a Murshid-i-kâmil. The words, looks and tawajjuhs of a Murshid-i-kâmil will purify one's heart. And when one's heart is pure one will begin to experience pleasure from îmân and from worships, and the harâms will seem bitter, ugly and abominable. During those times when Allâhu ta'âlâ has more mercy on His born servants the number of Murshid-i-kâmils increases and it is easier to recognize them. The closer we come to the end of the world, the more severe will be the manifestation of Allâhu ta'âlâ's Wrath, the more scarce will be the Murshid-i-kâmils, and the existing ones will not be recognized. Ignorant, miscreant, and heretical people will appear in the name of religious men and will mislead people towards disasters, thereby obstructing the way leading to Allah's love. In such murky times, those who learn îmân and the teachings of the Sharî'at from books written by scholars of the Ahl as-sunna will attain safety, and people who fall for the cajoling and exciting words in the bogus religious books written by ignorant and heretical people, will slip out of the right way. In such times, for purifying your heart and setting it to perform dhikr as soon as possible, you should imagine seeing one of the past renowned Murshid-i-kâmils wherever you are and whatever you are doing, except when performing namâz. And you should wish that the fayz that flowed into his heart coming from Rasûlullah (sall-Allâhu alaihi wa sallam) will flow into your heart. You should keep in your mind that a Murshid-i-kâmil is a (spiritual) heir to Rasûlullah, and, therefore, Allâhu ta'âlâ permanently manifests His Mercy in his heart. Hadrat Muhammad Ma'thûm, a great Murshid, stated in his fiftieth letter, "Continual râbita will ensure thorough contact with the Murshid. Consequently, fayz will be received easily. Being in the presence of a Murshid has other uses. A Murîd who cannot manage râbita in a suitable manner should attend the Murshid's sohba. It was owing to sohba that the As-hâb-i-kirâm attained such high grades. Weys al-qarânî received fayz from a distance by making râbita; yet because he could not attain the sohba, he could not reach the grades attained by the As-hâb-i-kirâm." He stated in the seventy-eighth letter, "For receiving fayz and barakat from a Murshid-i-kâmil, it is necessary to attach yourself with a cord of love to him. The Ashâb-i-kirâm received fayz from Rasûlullah (sall-Allâhu alaihi wa sallam) by way of in'iqâs [reflection]. By the same token, a person who sits with adab and love in the presence of a Murshid-i-kâmil will receive fayz from him. Anyone, no matter whether he is young or old, alive or dead, will receive this fayz. Imagining a Murshid-i-kâmil sitting opposite you while you look with love and adab at his face is called Râbita. This râbita is very useful, for man has dived into harâms and his heart has darkened. As long as he is in this state he cannot receive fayz and barakat from Allâhu ta'âlâ. A means is requisite. The means here is a noble person capable of receiving this fayz and giving it to those who demand it. And this person is a Murshid-i-kâmil." He stated in the hundred and sixty-fifth letter, "Keeping a Murshid-i-kâmil's face in your heart is called Râbita. Râbita is the most powerful link connecting a Murîd to a Murshid. When the râbita becomes firm, he will see his Murshid wherever he looks." He stated in the hundred and ninety-seventh letter, "When the râbita is firm, there will seem to be no difference between the blessings attained when one is away from a Murshid-i-kâmil and those attained when one is in his presence. Yet these two can never be equal. The more powerful the râbita, however, the less the difference." He stated in the eighty-ninth letter of the fifth volume, "A great scholar has said, 'Allâhu ta'âlâ would not have given the wish if He had not willed to give the blessing.' The essence of our way is sohba. With the barakat of sohba, a talented Murîd will receive fayz from a Murshid's heart in proportion to his talent and the degree of love he has for a Murshid. He will be freed from his bad habits, which will be replaced with the Murshid's good habits. It is for this reason that they have said that being fânî (extinct, nonexistent) in a Shaikh, (who is the Murshid-i-kâmil), is the beginning of (the stage), Fanâ-fillah (in Tasawwuf). If you cannot attain sohba, you will receive fayz only by means of love and in proportion to your tawajjuh towards the Murshid. Loving the people loved by Allâhu ta'âlâ is a great blessing. Through this love you will attain the fayz gushing out of their hearts. You should not miss the blessing of making tawajjuh in a Murshid's absence. You should learn the Sharî'at and act accordingly. You should not waste your lifetime playing and merrymaking. Things that are disagreeble with the Sharî'at are called Dunyâ. You should think that such things are useless and will be of no value in your grave or on the Day of Judgement. Safety is in adapting yourself to the Sunna and abstaining from bid'ats. [Adapting yourself to the Sunna means learning the belief of the Ahl as-sunna, adapting your belief to it, then doing the commandments and avoiding the prohibitions, and then performing the Sunna. When the Sunna is done without observing this successive order, it will not be the Sunna at all. It will be bid'at. For instance, growing beard will not be a Sunna. It will be a bid'at. The beard thus grown will be a Jewish beard, a Râfidî beard, or a Wahhabi beard.] You should not make friends with bid'at holders and mulhids, [that is, people without a Madh-hab and religious men who are not Sunnî]. They are thieves of the faith. They will defile your religion and faith. [It is stated in a hadîth-i-sherîf that bid'at holders will be turned into dogs for the people of Hell]. Hadrat Imâm-i-Rabbânî stated in the hundred and eighty-seventh letter, "If a Murshid-i-kâmil's image is shown to a Murîd everywhere, this is a sign indicating that the râbita is very strong. Râbita will cause a flow of fayz from one heart to the other. This great blessing will be bestowed on only selected people"
Documents for what has been said so far are the hadîth-i-sherîfs: "Everything has a source. The source of taqwâ is the hearts of ârifs"; "When the Awliyâ are seen, Dhikr of Allah is made"; "Looking at an 'Âlim's (scholar's) face is worship"; "Those who keep company with them will not be shaqî; "Disasters coming upon my Ummat will be due to fâjir [miscreant] men of religion," and a number of other similar hadîth-i-sherîfs. These hadîth-i-sherîfs are written in various books of Hadîth, e.g., in Kunûz-ud-daqâiq. That Hadrat Sayyid Abdulhakîm Arwâsî was a Murshid-i-kâmil is a fact that can be seen as clearly as the sun from the letters of ijâzat written by his Murshids, from the letter written in the hundred and sixty-first page of my (Turkish) book, from the profundity of his knowledge, from his beautiful morality, and from his karâmats. His blessed face is easy to remember, once one has seen his photograph. To remember him and receive fayz from his blessed face is a great blessing Allâhu ta'âlâ has bestowed on Muslims. People like us, whose hearts have been blackened with so many sins, are certainly far from attaining the great blessing. Our purpose is to show the way to the desired treasure. Perhaps there will be people to attain it, though we have not. During these last days it will fall to few people's lot to hear these facts, to believe them, and to try to attain these blessings. May thanks be to our Rabb (Allah) for blessing us with the fortune of knowing and loving His beloved ones. Yâ Rabbî! Grave and many as our sins are, Thine forgiveness and compassion are boundless. Have mercy on us and forgive us for the sake of Thine beloved ones! Âmin. Hüseyin Hilmi Işık's this first translation is quoted at the end of the fourth chapter of Endless Bliss, II..
Awâmil:a famous textbook of nahw. Salâm:Islamic greeting expressing peace and good wishes. Sunnat:an act done and liked by the Prophet, yet a duty of lesser degreee than a wâjib..
Wâjib:an act never omitted by the Prophet, almost as compulsory as a fard. Marriage contract as prescribed by Islam. There is detailed information aobut nikâh in the twelfth chapter of the fifth fascicle of Endless Blisss. Talqîn:words telling and making the soul and heart of a dead person hear through the effect of the knowledge of îmân. With its twelve hundred pages, the book, in Turkish, is a masterpiece and an ocean of religious and worldly knowledge. Part of it has been translated into English in fascicles, 1, 2, 3, 4, and 5. Its Arabic translation is underway. Tekke:a school where a murhid trains his disciples. Al-'ilm al-ladunnî:knowledge inspired by Allah to the hearts of Awliyâ'. This part is quoted from the book of "The Proof of Prophethood"